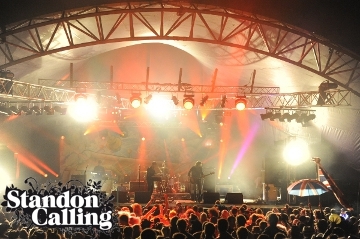 If you are enjoying the Standon Calling line up this weekend, why not Tweet me your photos @katefolkstock or email them to katesnowdon@hotmail.com – I promise to include photos and full credits on a future blog post! 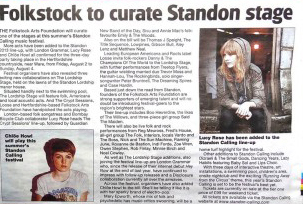 In an exciting collaboration, on the final day of Standon Calling Festival this year, Folkstock acts will be taking up the Lordship stage. 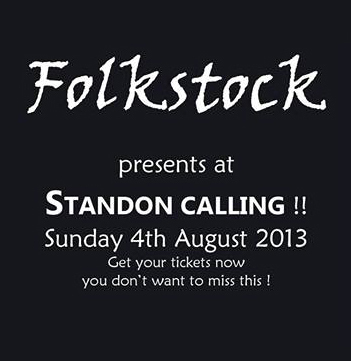 Standon Calling is one of the biggest Hertfordshire-based festivals – it’s Facebook page alone has over ten and half thousand ‘Likes’ – and it’s running from 2nd to 4th August, making it exactly seven weeks ahead of Folkstock Arts Foundation’s own Folkstock Festival on the 21st September. 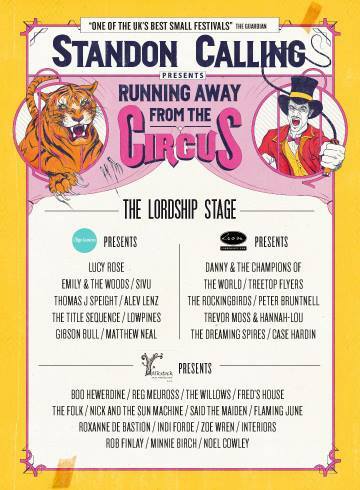 Taking place in the grounds of a 16th century manor house in Standon village, 30 miles North of London, this year’s ‘Running Away From The Circus’ themed festival even includes a Big Top. 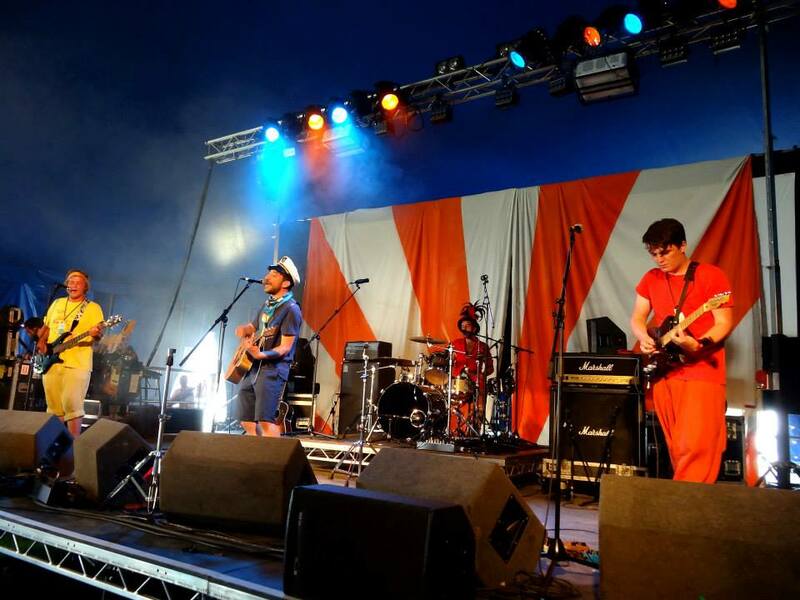 The festival is designed to be like a ‘carnival of freedom’, with an actual on-site circus showcasing exciting circus acts by day and turning into a lively social scene at night with live bands and DJs. With its infamous Cowshed nightclub, Standon Calling has a bar license to 5am, so there’s no need for campers to retreat to their sleeping bags early! “We’re keen to support interesting artists of all ilks, be they painters, sculptors, writers, actors, comedians or even chefs. A different theme takes over the event each year, reflected in the interactive theatre, art installations, set designs, and outrageous outfits our guests dream up” boasts the Standon Calling web page. 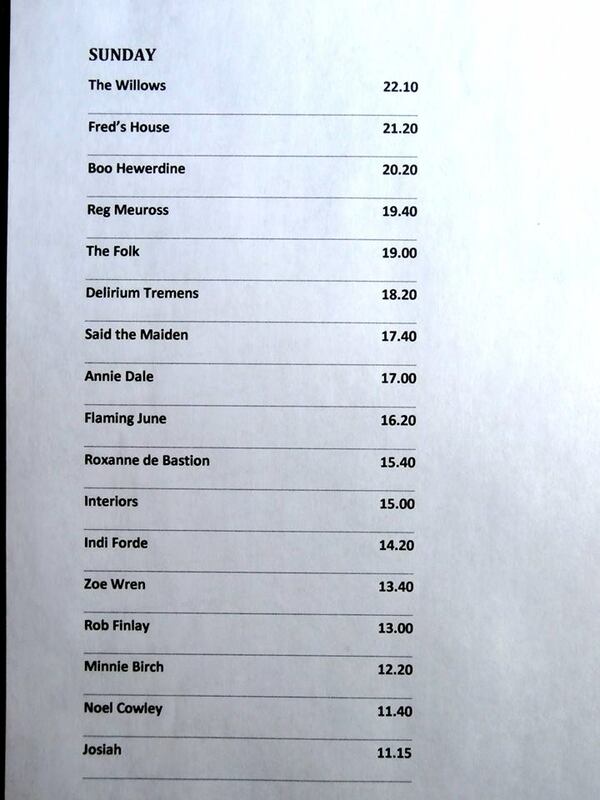 Zoe Wren is a 17 year old singer songwriter who has already had a track included on the Folkroom Records Anthology collection. 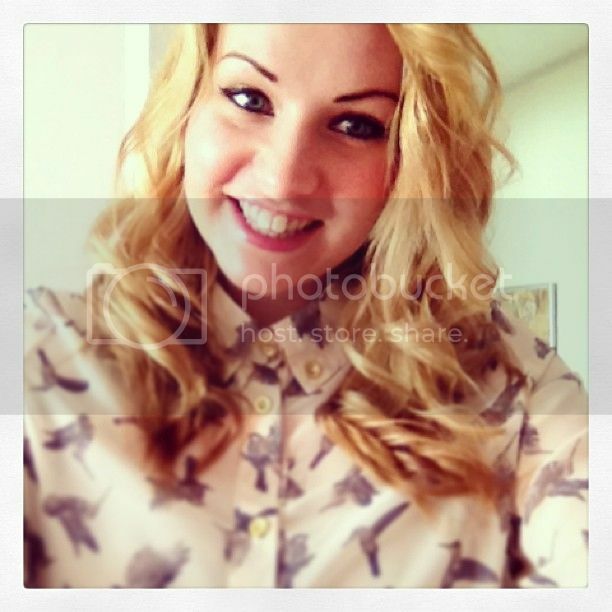 A gem of a songwriter, she also has the voice of an angel. Tom Robinson – BBC 6 Music Hertfordshire based Rob Finlay’s single Stone Dead and Rising proved popular with readers of my Fresh On The Net Blog and among listeners of our BBC Introducing Mixtape where I featured it the following week. This is a taut and vigorous track. Call him a songwriter or call him a singer – both of which he patently is – but not a singer-songwriter. He’s so much better than that. Keith Ames – The Musician – Musicians Union Publication: This track [Collections] is a fine example of his ability to weave unconventional elements into familiar genres. His searching vocals call to mind Tim Buckley while he shows commercial potential during the chorus, in which his voice soars over a gorgeous chiming guitar lick.